Cirque’s “Aventine” last September 4, made a rogue marriage out of spoken word and music in Mow’s Bar, Matalino Street, Quezon City. 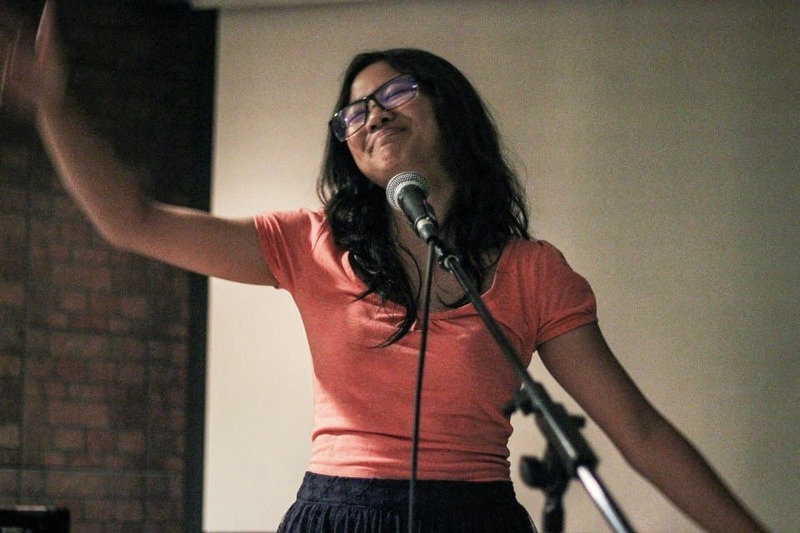 This gathering organized by the non-profit, student-led poetry and arts organization reminded us a thing or two about childhood memories, quirks, brooding, fuzzy feels and newlyweds. Homegrown musicians from the UP Music Circle and The Ateneo Musicians’ Pool set the tone of the night. Slow Sink’s (soundcloud.com/slow-sink) performance was a surprise set. There were musical performances by Ourselves the Elves (soundcloud.com/ourselvestheelves) who stirred with their vocal melodies, The Buildings (soundcloud.com/thebuildingsph) for some lively hopelessness and Kysha’s Krew (soundcloud.com/kyshaskrew) with their cover songs and original songs to make you lightheaded. Yūrei (soundcloud.com/yureiph) kicked off the night with Spongebob and some aggressiveness to wake up those glassy stares and Sawdust, (soundcloud.com/sawdustsounds) made two peas in a pod out of chill and violence. Then there was Mindless Pop who helped maintain the chill streak of the night and solo act Swing Set. UP Music Circle’s surprise act Mark Armas played guitar and harmonica. 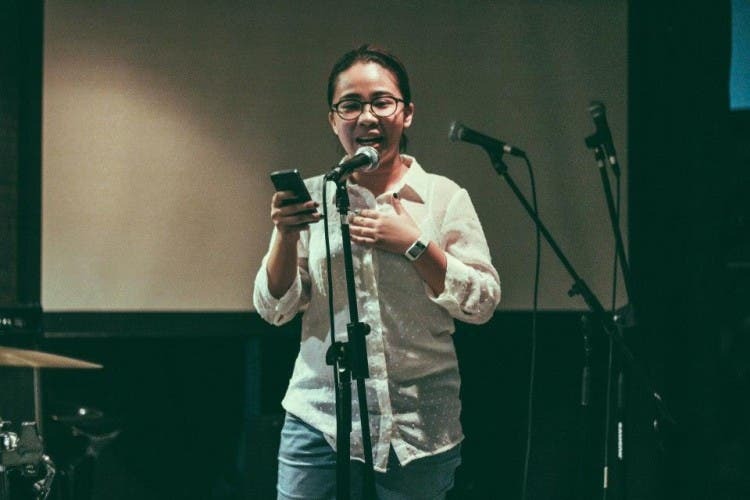 Spoken poetry was performed by Patricia Ramos (on boys and jogging and a particular boy), Liane Reyes about (theories of redamancy), Marge Redelicia (on childhood and her spirituality), and Cat Aquino (on the inner workings of her perils on talking). Toots Orosa went chill with an original composition to booth and poet Nikki Salceda on heartbreak. DJ Kid Yesterday (soundcloud.com/moe-cabral) closed the open mic. As for local indie folk and the spoken word scene in the Philippines, there is definitely more momentum and diversity today.